Main - General ROM Hacking and Emulation - The General RomHack-FanGame Project Screenshot/Videos Thread! Last view: 146 days This is where you can show off projects you are working on directly or part of a group. *don't flood the thread with goofy spam. *no derailing with offtopic chat or nonsense. I'll get the ball rolling first, this is one mzm rom hack i am working with. 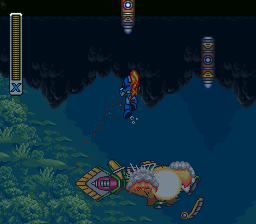 What I am doing is rerouting samus to other parts of zebes. Having a choice of getting her fully powered suit and a few more surprises. Yeah the video length is long, just speed up midway or toward the end. Just got through testing something to make sure the power suit works before and after motherbrain is terminated. Pretty pissed right now but I am kind of glad mostly everything is turning out alright. I am hoping to jesus christ that the game will renable the chozo boss again. If I'm not mistaken I won't be able to disable the powered suit as shown in tourian. Last view: 146 days I found this hack a while back, while it sounded nice as a nes remix. It made me shutter with pure disgust. Whoever converted the nes tracks to make it sound so "NOT mario nes format like needs to be shot at. Lots of files to deal with and it'll take me 3 months to sort through it and refix em. However have a look at the second video, just a heads up I won't be naming which site I got it from. Don't say I didn't warn you when you hear the full sound track. This new graphics hack belongs to xstuff from romhacking.net. 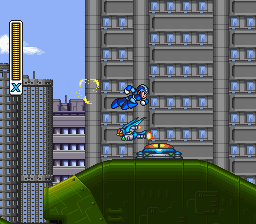 If you're a mega man anything fan give it a run, nearly everything is completed in it. MySQL - queries: 100, rows: 526/559, time: 0.026 seconds.